STAINLESS STEEL BALLS UPGRADE - AISI 440C "Anti-Oxide" housing & load rating remainas standard. ARDUOUS CONDITIONS UPGRADE - Stainless Steel AISI440 internal parts & balls. "Anti-Oxide" electrophoretic outer casing & carbon steel spring mechanism. Spring values & load ratings as stardard. ALL STAINLESS STEEL UPGRADE - Stainless Steel AISI304 housing. Balls & Internal parts AISI440. Spring values & load ratings as standard. 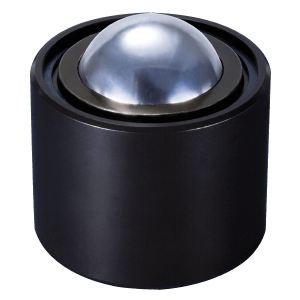 AISI 52100 high chrome steel balls &“Anti-Oxide” electrophoretic coating of machined steel housing (AISI 440C) –“Anti-Oxide” housing & load rating remain as standard. Stainless steel AISI440 balls & internal components. 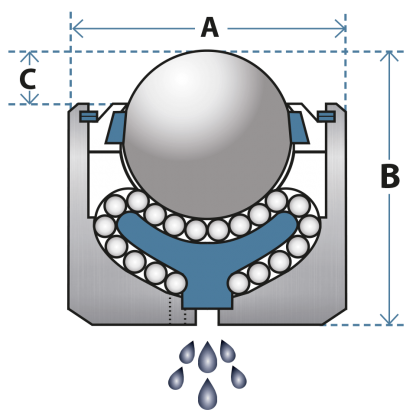 Outer housing & load rating as standard. 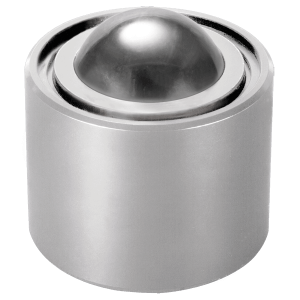 Stainless Steel AISI 440 internal parts & balls, AISI 304 housing. Load rating as standard. minimise marking of delicate surfaces. Friction, wear & temperature properties change - consult us if in doubt. Reduced load ratings indicated.